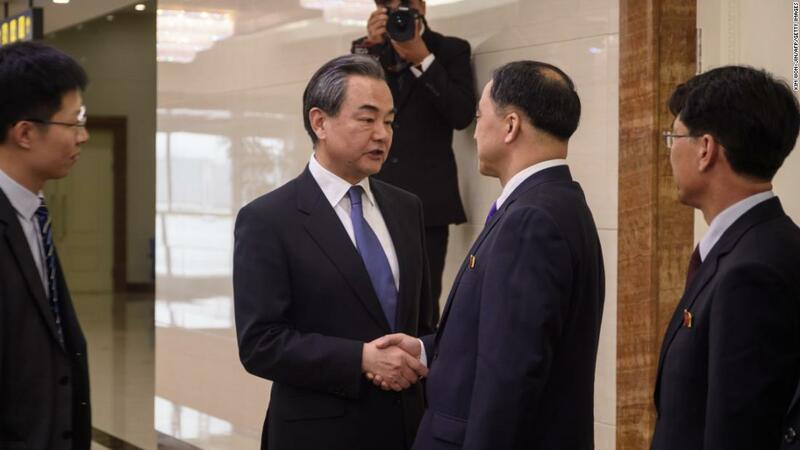 (CNN) Chinese Foreign Minister Wang Yi praised North Korea’s commitment to denuclearization during a rare visit to Pyongyang on Wednesday. 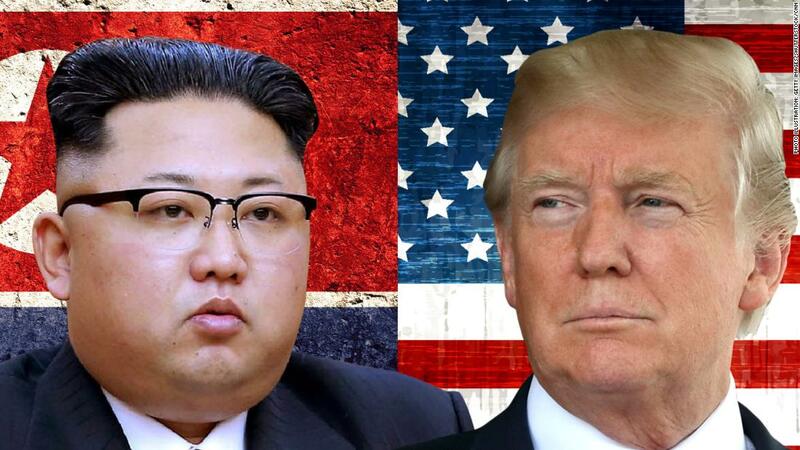 Following the success of the summit, planning is now underway for US President Donald Trump to meet with North Korean leader Kim Jong Un within a month to further discuss the dismantling of North Korea’s nuclear arsenal. “China commends the recent positive changes on the Korean Peninsula,” Wang said in Pyongyang Wednesday, according to statement from the Chinese Foreign Ministry. 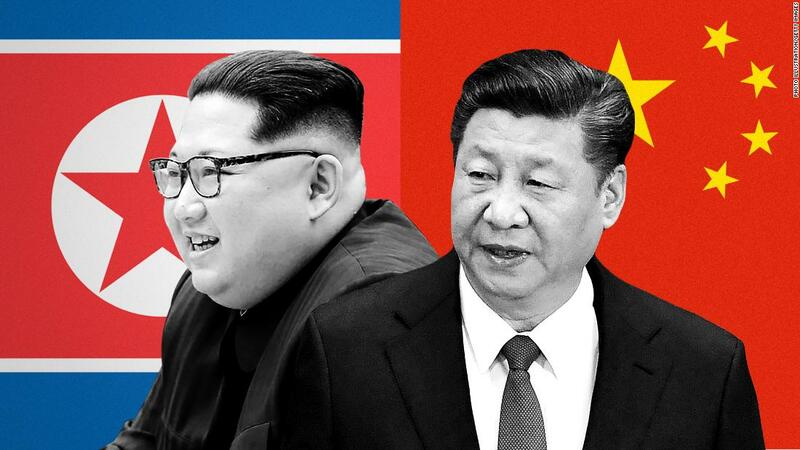 Experts have noted that while China has publicly lauded peaceful efforts to resolve tensions on the Korean Peninsula, it may fear being relegated to the sidelines in developments that could shake up regional geopolitics. Wang’s arrival in the capital Wednesday, marks the first visit by a Chinese Foreign Minister to Pyongyang since 2007, an indication of how quickly relations between the two allies have warmed in recent months. In March, prior to Kim’s meeting with Moon, the North Korean leader made a surprise visit to Beijing, where he met with Chinese President Xi Jinping, in what was widely interpreted as a reaffirming of the two countries’ longstanding diplomatic alliance. North Korea’s relations with China, a traditional ally and economic benefactor, had become strained following Kim’s decision to purge several top-ranking officials with close ties to Beijing, including his uncle, Jang Song Thaek. Tensions were again heightened in 2017 after a string of missile tests, which rankled China’s leaders and resulted in multiple rounds of United Nations sanctions targeting North Korea’s ability to bring in cash. The diplomatic rapprochement is expected to be formally sealed in the coming months, with a second meeting between the two leaders, this time in Pyongyang, according to sources. The trip, should it go ahead, would mark Xi’s first visit to the North Korean capital since he came to power in 2012. In Pyongyang, Wang met with North Korean Foreign Minister Ri Yong Ho for talks in the Mansudae Assembly Hall, according to North Korean state media KCNA. Both men discussed plans to move relations between Beijing and Pyongyang to a “new high stage” following the earlier meeting between Xi and Kim in March, state media said. Wang also visited and signed the guest book at the Sino-Korean Friendship Tower in Pyongyang, according to KCNA, where a moment of silence was observed for the Chinese soldiers who were killed fighting during the Korean War. More than 130,000 Chinese troops died after they came to the aid of North Korea in 1950, including the son of the country’s founder Mao Zedong. The Chinese Foreign Minister also paid tribute to North Korea’s two former leaders, Kim Il Sung and Kim Jong Il, presenting bouquets of flowers to their statues. 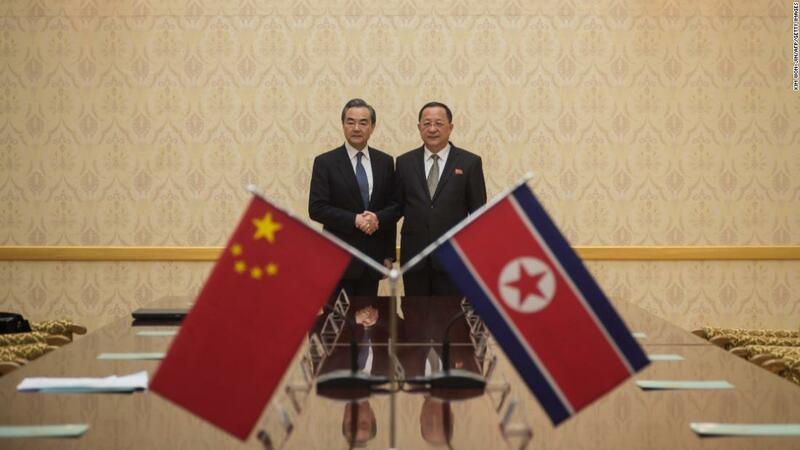 Wang said China was willing to do its part in working for denuclearization and peace on the Korean Peninsula. “(China) is willing to strengthen its communication with North Korea and continue to play a positive role in the process of settling the Peninsula issue politically,” Wang said according to the statement. Wang is expected to return to Beijing on Thursday afternoon. Next articleReality Check: Is surgery being rationed?